I have traditionally started listening to a Christmas audiobook after Thanksgiving just to help me get into the Christmas spirit. 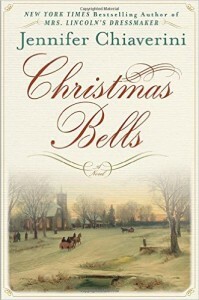 This year I am enjoying a recently released book entitled, “The Christmas Bells“, written by Jennifer Chiaverini. In the book she is using two parallel story lines. One in modern times where a young mother is awaiting word on her husband who is in Afghanistan with the military and has been declared missing in action. She is trying to keep her two children from figuring out that something is wrong until his whereabouts have been confirmed. It’s Christmas season and her sadness and confusion is consuming her. 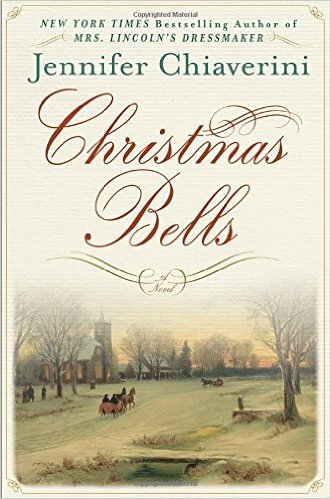 The other is the true story about Henry Wadsworth Longfellow and the details surrounding his writing of the poem( which later became a song) “I Heard the Bells on Christmas Day”. He too was in a state of sadness and confusion after being informed his eldest son was missing in action during the Civil War. This same sentiment could be said in light of all the recent violence seen in the news and we could state a hardy ” amen” to Wadsworth’s assessment of the world that both he lived in and the one we live in today as well. There is much about our world that seems dark, hopeless and full of despair.